proph-et (n.) 1. (in some religions) a person believed to have been sent by God to teach people about his intentions. 2. a person who predicts the future. 3. a person who promotes or supports a new belief or theory. and so it is that as we motor along the patched asphalt roads of our everyday, suddenly we screech to a stop when we realize, right before our eyes, a wise soul, a prophet, a shaker-upper has flung his or her wisdom splat in the middle of the lane. stuck there, not able to never mind, not able to turn the wheel and steer around it, we succumb to the roadblock. loosen our grip on the wheel, stare wide-eyed through the windshield, soak up every last tidbit of what’s there in a pile clogging the throughway. sometimes that’s what it takes to get us to pause, to pay attention. and so it was, not so many days ago, when sitting in the dim-lit auditorium where our synagogue holds the talk part of sunday school. the rabbi was up at the front, at the mike, sipping his starbucks grande whatever. and, once again, the conversation seemed to be steering into one of those ones i’ve heard far too often. the topic, more or less: how in the world do you talk to your kids about God, when you’ve no clue who or what that might be? i’ve learned to sit on my hands. to mostly not raise one or the other. over the years, i’ve made it clear on several occasions that i DO have a clue who that is. that i find the Holiness all around and within. that it’s there at the dawn when i tiptoe outside and find the heavens alight with pinpoints of stars. that it’s there when the voice on the other end of the line breathes hope into my emptiness. that it’s there when the words that spill from the mouth of the child i’m tucking in bed hit me with a compassion i’d not expect from a grownup, let alone a 12-year-old who can’t for the life of him untangle the distributive property upon which his pre-algebra homework is hinged. i’d more or less surrendered to the conversation, felt myself sinking lower and lower — in spirit and chair. but then, the long lanky fellow a few seats to the east in my row, he raised his hand. now, i know this fellow to be wise, and i know he’s lived through some tragedy. his wife died when his children were little, one still in diapers, one just past toddling. he speaks with a gravely voice, the result of a cancer. i sat there, low in my spring-loaded chair, and suddenly bolted upright. humbled. stunned. turning the words over and over in my head, as if marbles i held to the light. examining, absorbing. these words from a father to son, a son who’d just lost his mother. i did what i do when i know i’ve heard wisdom: i reached for my backpack, i pulled out a pen and my red little moleskin. i loosened the elastic snap that holds open the next empty page. i scribbled. i suddenly was wide awake and taking in every word of this conversation, no longer the same old, same old. all week i’ve drifted back to that moment. when suddenly, out of the almost dark, a gravely voice spoke words that stirred me, top to bottom, inside to out. i was knocked over by what he said — especially since i’ve too heavy a dose of black irish soul, the sort that too often fears the end is just around the next bend, and this notion of using that as a wedge to take it up a notch, to live each blessed day as if it could be the last or the second to last, is rather a zap to the noggin, to the soul. but even more i was knocked over by the blessed truth that we never know where the wisdom will come, we never guess the prophets around us. and that’s why it matters that we stand at attention. that we live on the lookout — for wisdom, for truth, for gentlest kindness and full-bodied compassion. if instead of sinking low in our chairs, if instead of surrendering to the ho-hum humdrum we think is unfurling, we stay awake to the possibility that someone far wiser than we’ll ever be is about to brush up against us, pass along a kernel of all that’s holy and wise and forever. and that’s why this mystery called life is so utterly and wholly capable of taking our breath away — without drumroll or siren — and filling it in with high-octane Holy. so, who’s your prophet of late? and what wisdom was plopped in your lap? photo credit above: my sweet will kamin. 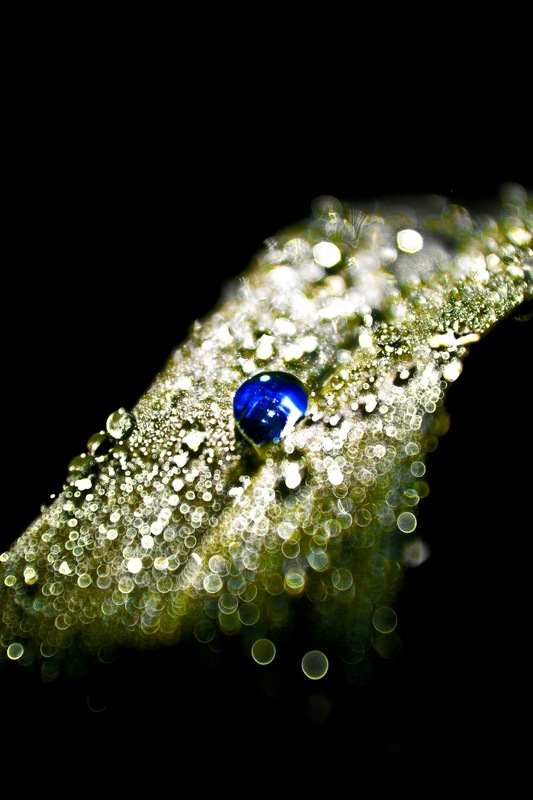 a morning’s dew captured in magnificent light. not unlike the gift of the prophet…. Thought provoking as always. Thanks. wisdom beyond wisdom came from the mouth of my 5 year old upon telling her that her grandfather had just died (only 4 weeks after his wife, her grandmother and 3 weeks after my mom her other grandmother). She said “That’s ok, he wanted to be with Gigina”. (his wife of 75+ years). Truer words could not have been spoken and turned my sadness into joy knowing the two were reunited and at peace. you know who this wise, curly haired girl is and she continues to wow me with her insights. I’m one lucky mother indeed. I love what you have to say. Wonderful words that mean so much. I thank you brother, John, for telling me about you. I plan to remind myself of this often…. it means we have a limited number of days, so how we live matters. I love this Barb!! so eloquent and true…. spoken from a pure heart!!! !